At one point in time, Microsoft was criticized for being too aggressive and too desperate to get users on Windows 10 immediately. It seems that the desperation has died down and Microsoft is confident enough in the numbers to close the doors on those who still refuse to go from 7 or 8 to 10. Microsoft has just made it clear that its abused extension of free upgrades to Windows 10 is going to end December 31 this year, giving users about 2 months to make up their minds. Technically speaking, the free Windows 10 upgrade ended in July last year. It made, however, one interesting exception. Those who were using assistive features of older Windows versions can still upgrade for free beyond that point. What made that interesting is the loophole that Microsoft left and never bothered to close. Anyone could simply enable said features and upgrade for free, no questions asked, no checks made. This allowed Windows 7 and 8.1 users to delay making a choice for as long as they can or catch up without a sweat. Microsoft says never intended the extension to be used like that. But it also never acted on it. Reading between the lines, Microsoft was OK with people misusing the offer, if it ultimately meant more Windows 10 users joining the fold. But Microsoft is, of course, running a business, not a charity, and the free gravy is about to run dry. On December 31, 2017, Microsoft will close all the free doors. 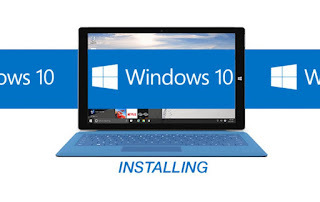 If you want to upgrade to Windows 10 past that date, you will have to pay $120 to $200 for it.